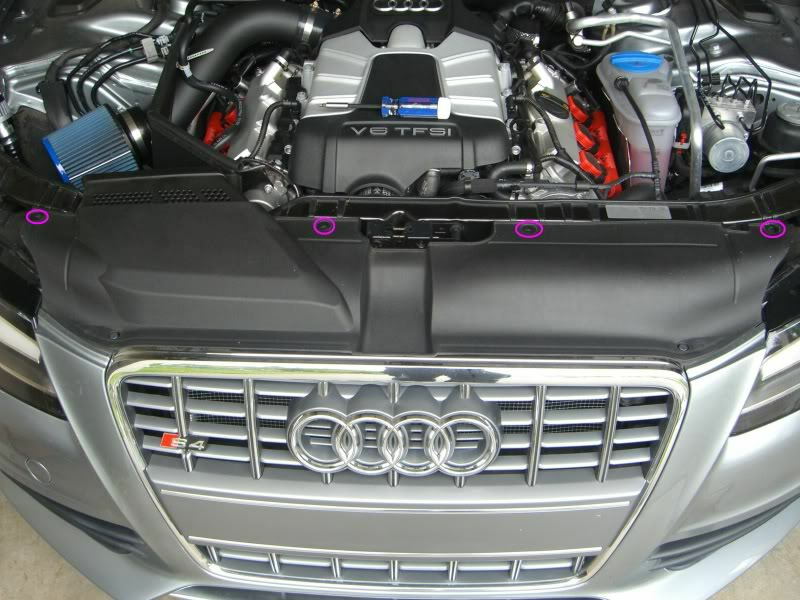 Installing an RS4 style mesh grille can change the whole look of your Audi A4 B8. Read on to learn how to do it yourself. 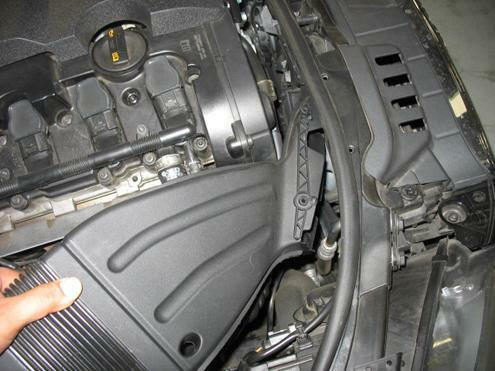 This article applies to the Audi A4 B8 (2008-2015). The grille is the first thing you see on the Audi A4; it's literally the face of the car. The RS4 style grille changes the front impression of your Audi A4, making it look like a top performance model. Going to the dealership for such a modification will cost you a small fortune. The process can be done at home; you just need to purchase the grille, own or purchase some basic tools that most households have, and follow this helpful guide. Remove the four screws holding the top cover in place. Then, pull the cover back and up to remove it. Figure 1. Remove top cover. The scoop is held in place with two screws. 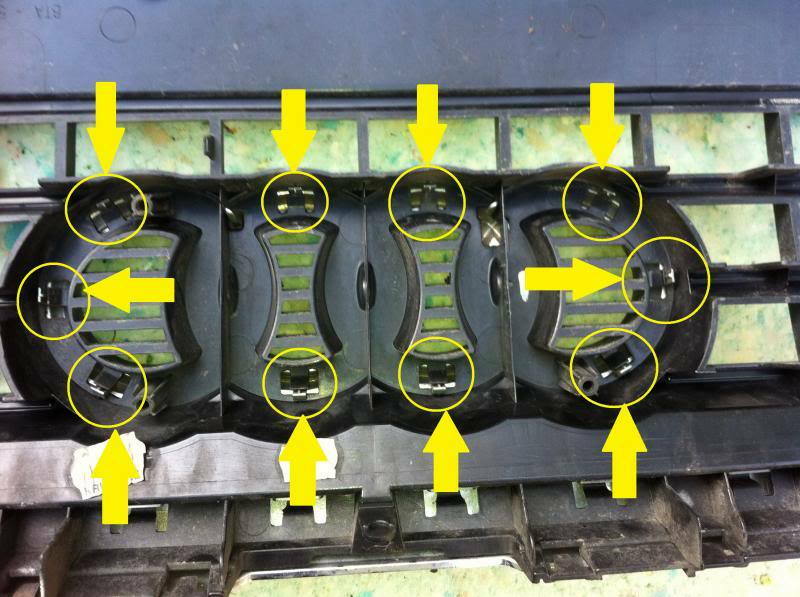 Remove the two screws, then disconnect from the air box. Pull the scoop out of the vehicle to remove it. Figure 2. Remove fresh air scoop. Remove the screws holding the grille in place using your Torx screwdriver. Figure 3. Remove grille screws. 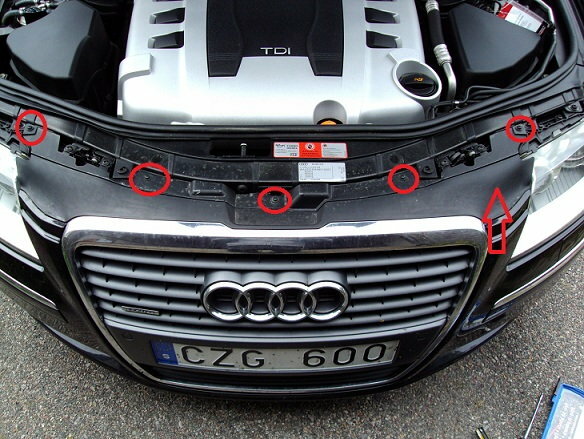 Unclip the four clips on the bottom of the grille. You just need to push the plastic tabs away from the chrome part. You will need to use a flathead screwdriver to disconnect the clips. Once you disconnect all four clips, pull the grille up and out to remove it. You will need to wiggle it as you're pulling it up and out. Figure 4. Disconnect four clips. Align the grille properly, then connect the four clips on the bottom. Tighten the top grille screws, then install the fresh air scoop and tighten its two screws. Finally, install the top radiator cover and tighten the four screws holding it in place. Figure 5. 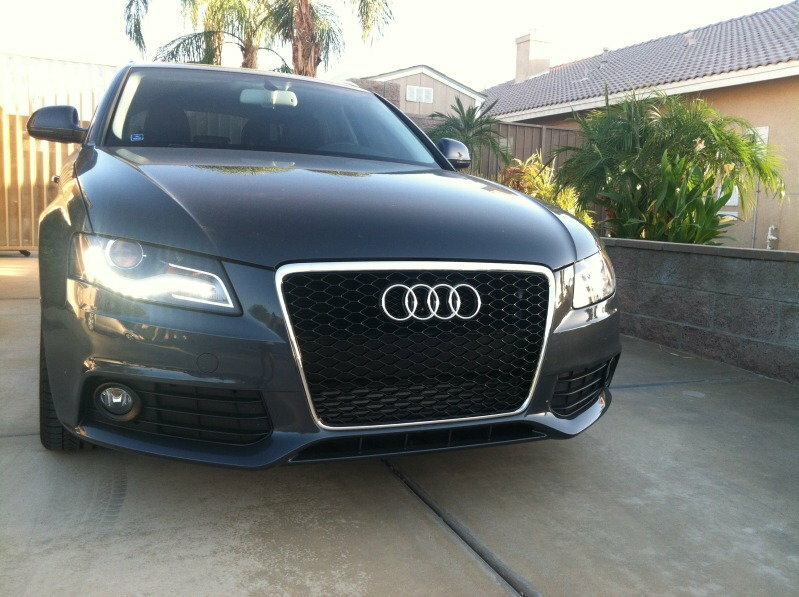 Enjoy your new RS4 grille!